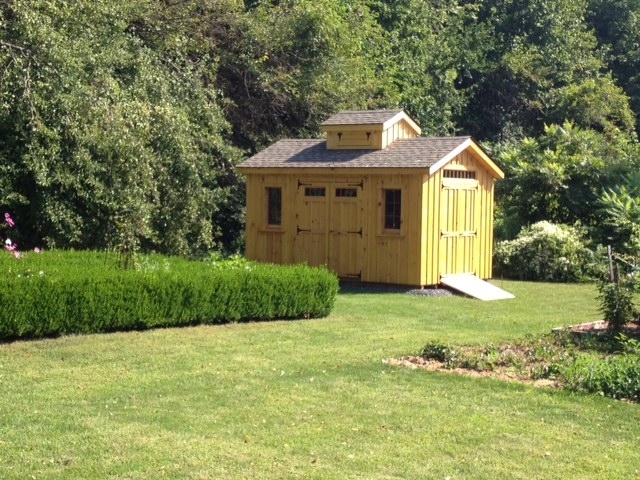 10 x 16 Pine B&B Sap house with 7' side walls and vented cupola, 5' transom glass double door with P.T. ramp, 6' double door on gable end with transom glass above door with P.T. ramp, 2 22" x 39" wood recessed wood sash windows with screens, ridge vent, two 8" gable overhangs, 7/12 roof pitch. Beautiful pine interior.